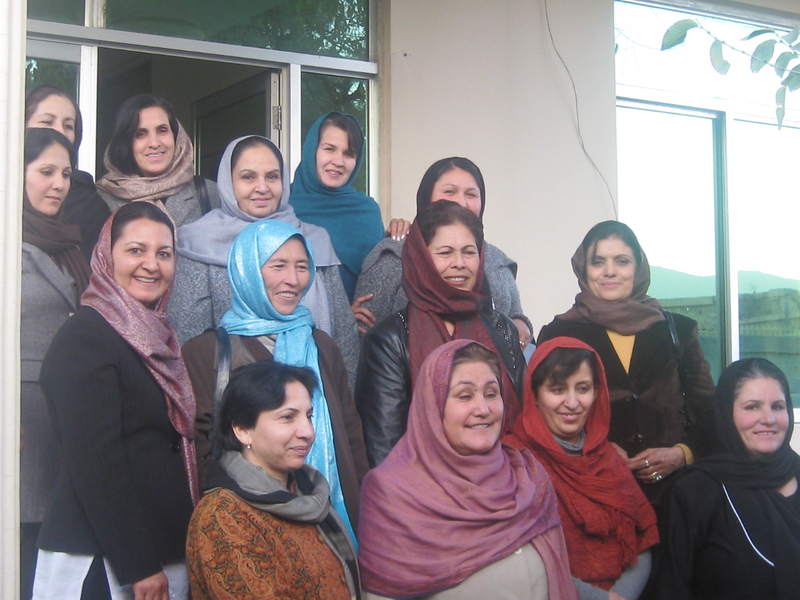 This year’s Afghan Fast Runner Annual Meeting was held at the Afghan Women’s Business Federation (AWBF) in Kabul. The room was filled with cakes and cookies and smiles. After rounds of games, like the ever-popular Telephone, the women expressed how much it meant to be able to laugh with daily struggles of life in Kabul offering little opportunity for laughter. The Fast Runners updated each other on their latest business news. Laila is working with a government entity. BN’s husband is taking care of her store while she works with AWBF. She also regularly travels to Jalalabad to get her orders processed. Nasima is busy selling her silk scarves and working with Zarif at Zardozi. Rahima, Suraia, and Hanifa all continue to work with the Rangeen Kaman Artisans retail store. Rahima has also nominated herself, again, to be the Kabul Representative to Parliament. Suraia is still working at the governmental construction site, and Hanifa is busy with her school and her Quran recitation engagements. Habiba’s pre-school is still up and running in the building Bpeace donors helped build.